“Good morning Colin, thank you again for the review on the sausage. I would like to point out a couple of things that make us extremely different from the ‘Jimmy Deans’ of the world. Our raw materials come from some really quality cuts such as our pasture-raised pork picnic shoulders, butts and hams. 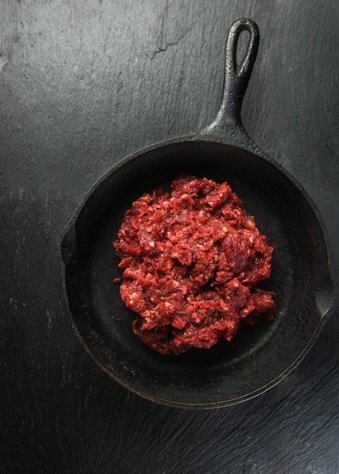 We slaughter and chill all products prior to deboning or sausage production. 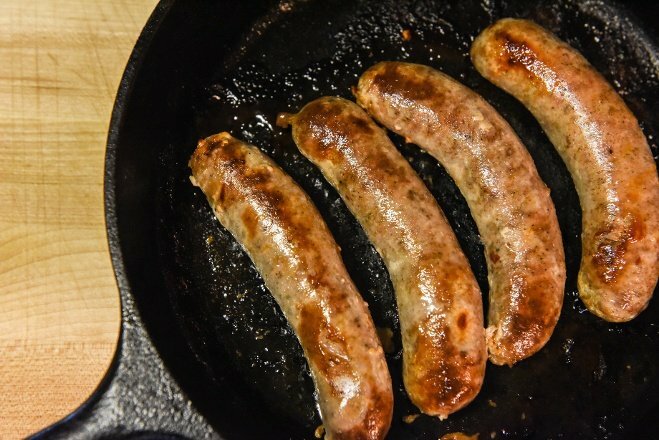 Commodity pork sausage is typically produced from cull sows that are slaughtered and immediately deboned (a process known as hot-boning) and that hot meat goes straight into sausage production prior to being chilled. The finished sausage is then chilled or frozen to produce the commodity sausage. If you ever have the chance to visit one of these facilities, the smell of hot-boned pork, hot ground pork, and mixed sausage is a life-changing experience. Some consumers cannot get past this flavor that comes from hot-boned pork. It is similar to boar taint. 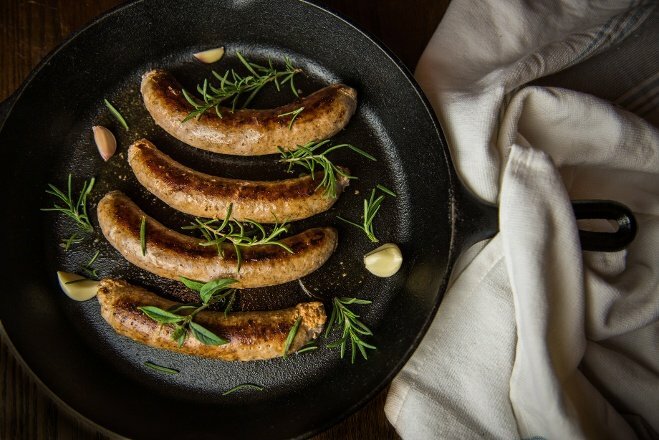 Our pasture-raised sausages are made of only high quality protein, seasonings & all natural pork casing. A very large percentage of sausage manufacturers add binding or extending ingredients to the meat to increase shelf life of their sausages. Facilities that are producing hundreds of thousands of pounds of sausage per day strive to find ways for their products to retain moisture and water that is added to the blend. The main reason for water retention is to add weight to the final product, which ultimately increases their bottom line. After all, water is much cheaper than protein. We do not add any type of extenders or binders to our products. We may not get the same fresh shelf life of other products, but it is a very pure, wholesome sausage. Our products are simply high quality protein with seasoning added. Selling our sausage frozen is about the only option we have because of its high-quality contents. 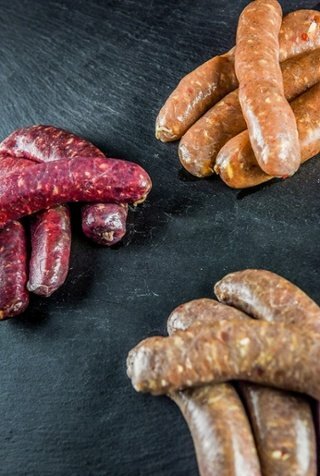 The trade off is that our sausage is certainly a more favorable eating experience. Above: Cajun chicken links. We never add any binders or extenders to our lean sausages. This is a similar situation to the fat added to commodity products. Fat is cheap and typically pretty abundant in high-volume processors. They strive to add as much fat as regulatorily possible to drive down their meat prices. We strive to create a great eating experience. I think a sausage that is a bit leaner, well seasoned, and made from high-quality cuts out-performs a product that is hitting the limits on fat content. Sure this adds some cost, but to me, it is a much better experience and adds to the "bite" experience. 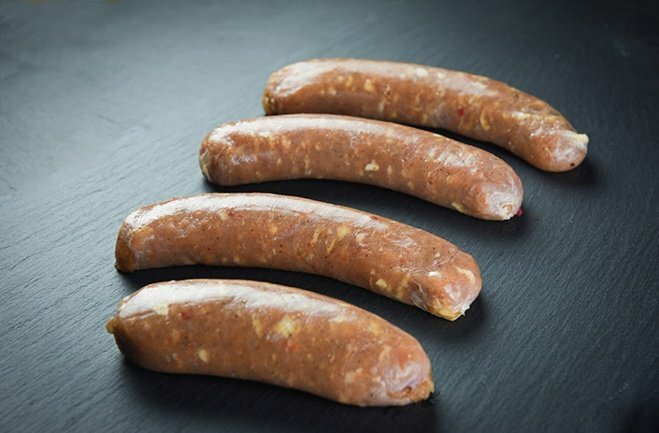 Leaner sausage in a good pork casing that has been properly cleaned and prepared creates a "bite snap" that is far superior than a fat sausage in a poorly prepared casing.